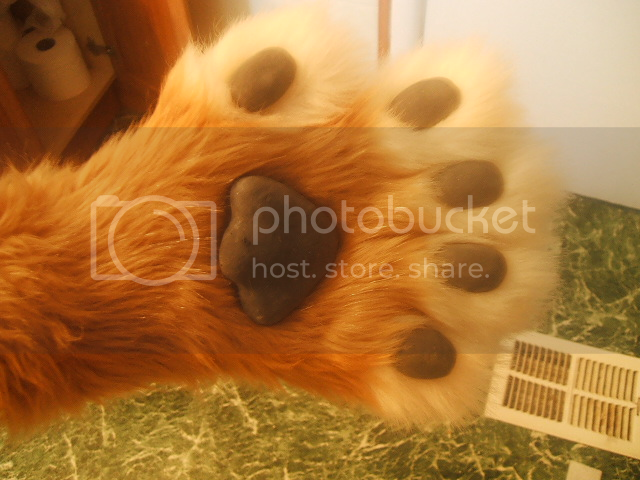 How to make Latex Paw Pads w/Pictures! CLICK THE IMAGES FOR LARGER PHOTOS! First of all, you got to start out with your paw! 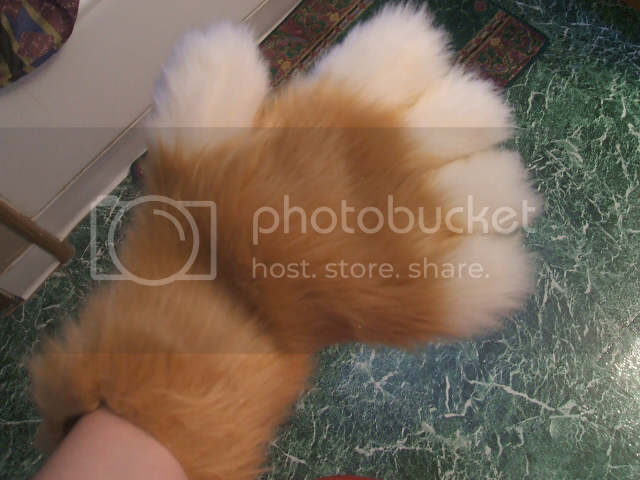 For this, I'm going to make some paws for my Raito Fursuit. So here they are. 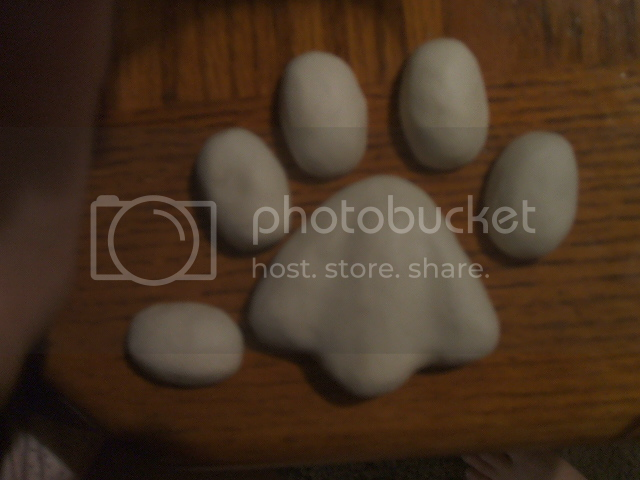 Now to make the pawpads casts. Now, for this, I would recommend oil based clays. BUT, I didn't have any! What to do? I made my own! What I did was get some Left over Scupley (this was scupley 1, which is not recommended for claws and stuff) and mixed it little but little with oil until it got nice and soft. 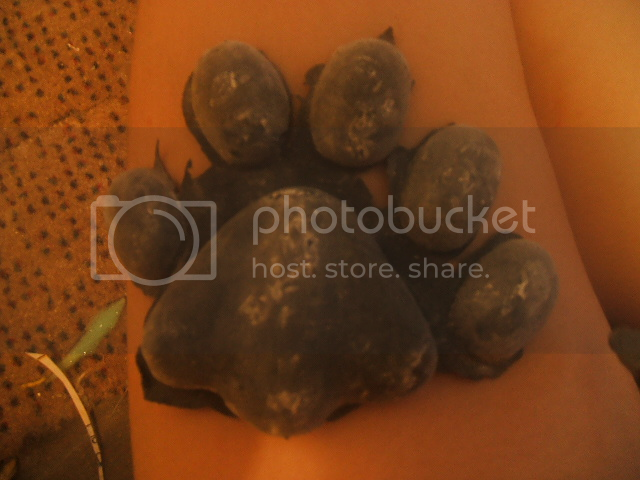 Then, I made the paw pads. Make sure to test the pawpads and put them on your paws to see if they are too little or too small. Next, to make the mold! You will be Plaster of Paris for this. What I did was use the Scupley to make a Dam around the paws, as explained in Furrhappens.com. Then, put the paws in the dam (make sure you put them in a bowl, or somewhere you can move). 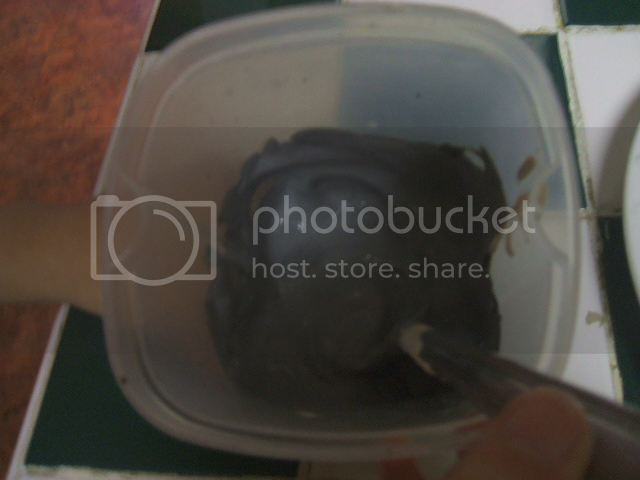 After that, mix up your plaster as it says in the instructions and pour the plaster in the mold. The plaster should dry in a day. When its done, remove the dam and flip over your mold, you should see your paw-pads in the bottom! To remove them, pinch the middle of the clay and slowly pop them out. They should come out easily, if you use an oil-based clay. Now for the Latex. I used Rubber Latex for my pawpads. I wanted to make them dark gray, so what I did was mix them with Black Acrylic until I got the desired color. Make sure the paint and latex is NOT at a 50 50 ratio, there should be more latex than paint. When your done, slowy pour your latex in the mold. Its ok it it goes in the edges, its actually easier to pull them out by grabbing hold of them. 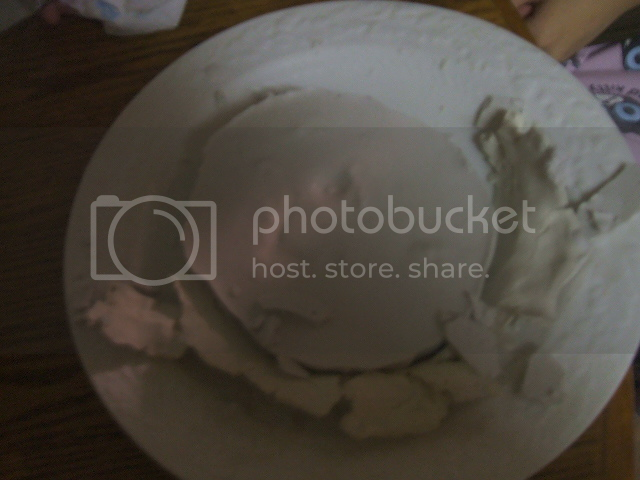 Move the mold around so all the air bubbles rise. Now, its time to wait..It toke me 3 days for them to dry, so be patient x3 Make sure they are in a hot, dry place and if you want, you can put them under a fan for faster cooling. Now to pop them out the mold! You can do this by pinching the extra latex that got out the mold and by slowing lifting it up. After that, clean it and remove all access latex with a pair of scissors. Almost done! Now to put them on! First, shave the fur down where you want to put them and glue them securely to your paws. I recommend using Epoxy to glue your paw-pads. 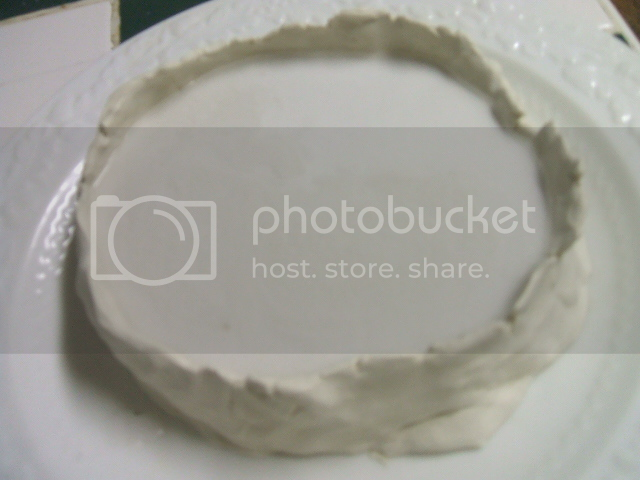 +When you have sculpted your pads, and are getting ready to pour the plaster on top, make sure that you have put vasceline on the plate (if not glass) otherwise the mold is likely tol stick together. +Whean cleaning out your mold, it is good to brush in a layer of latex, let it cure, then use that to "pull" the mold clean. After that, give it a soft scrub down with a soft paint brush and some rubbing alcohol. Wow, that's a really good effect there ^.^ Will definitely have to keep this method in mind! Thanks for sharing. Thanks so much for this! I was having trouble with fabric pads because they just don't look realistic and it was hard for me to sew them on. I'll definitely keep this method in mind for when I can buy the supplies! Ooh, those turned out really cool! Awesome job! 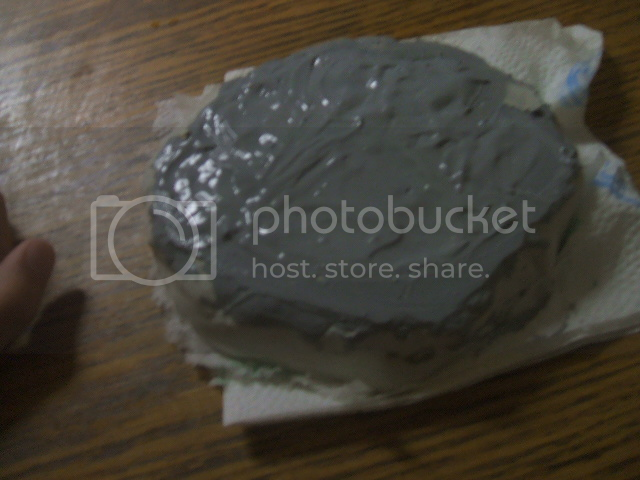 When you have sculpted your pads, and are getting ready to pour the plaster on top, make sure that you have put vasceline on the plate (if not glass) otherwise the mold is likely tol stick together. Whean cleaning out your mold, it is good to brush in a layer of latex, let it cure, then use that to "pull" the mold clean. After that, give it a soft scrub down with a soft paint brush and some rubbing alcohol. Again, nicely done! Those paws are lovely (I really like the fur colors). Thank you for your points, I will defiently add those! And actually, my mold came off my plate quite fine but for sure, next time, I will put some vasceline on it for extra fast pulling. Those are TERRIFIC! Thank yoU! I will add this to the Memories! Didn't RoseQuoll have one at one time that I can't find anymore? Thanks so much! This looks like a great way to make pawpads, and I will ceratinly try it on my future fursuit project! Holy crap this is awesome! I might have to say forget those fauxleather pads that I've been making, this is so much better! If the paw pads are made of latex, and lets say you touch someone that has a latex allergy, is it going to harm them? 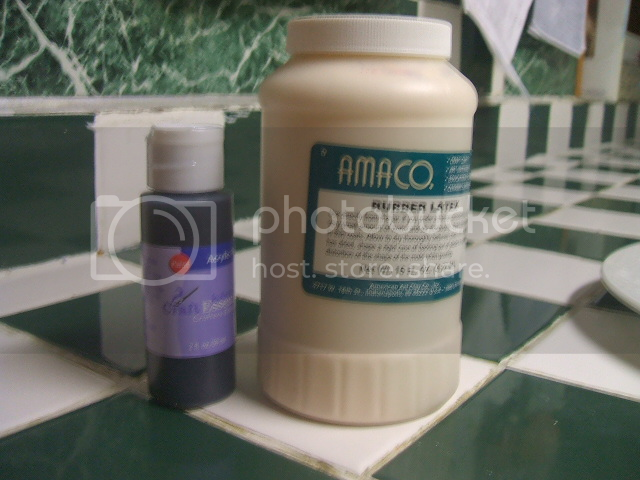 You can get casting silicone "rubber" online. It has a much nicer feel (though it can tear somewhat easily on sharp objects, but often has a 300% stretching factor before tears) but will not cause reactions in those with latex allergies. P.S. when you can use silicone DO. Why? Well, I think you just pointed that out. P.P.S. When you cast with silicone you cannot use oil-based clays for your "buck" (pieces to be cast) Even a residue on the mold will prevent curing. 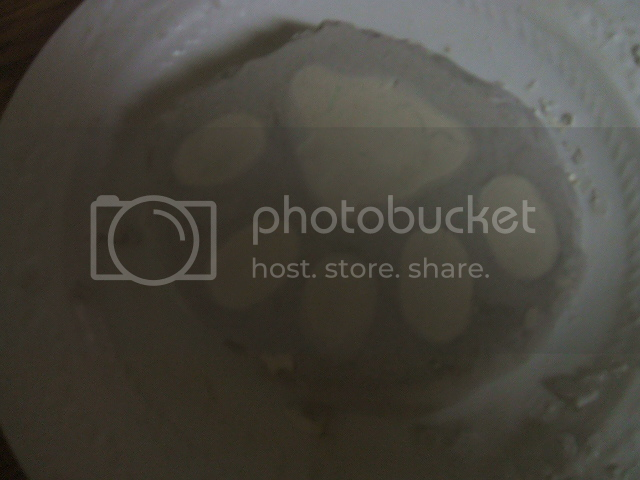 I suggest play dough, or coating the oil clay bucks in a thin layer of wax. 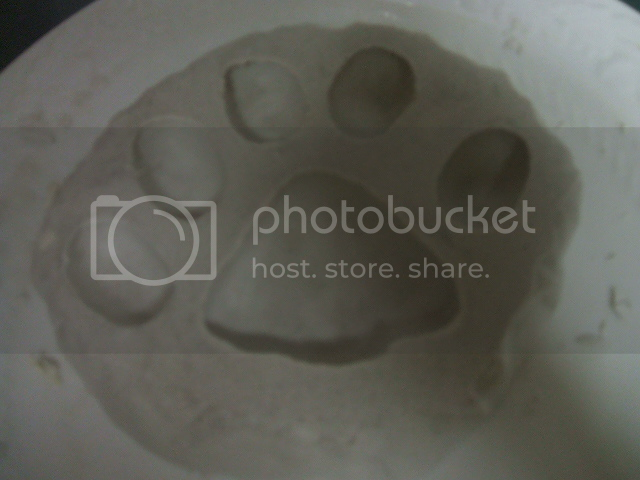 With wax you can press your palm into the warm material and get a nice "fingerprint" texture... if yas swanky like that.